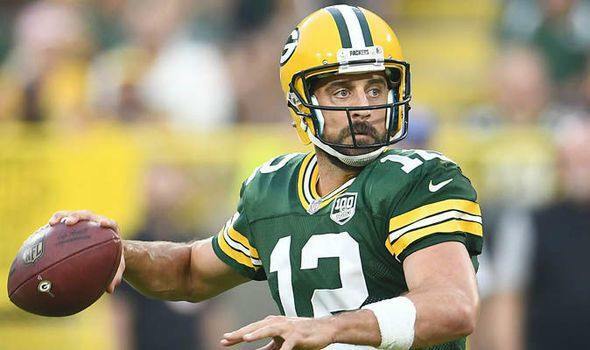 Week 3 of the NFL season was quite a strange one but has surely left plenty of lessons behind. From the surprising wins, overtime shootouts and defensive struggles, we learned a little more about every one of the 32 teams this past weekend. But just as importantly, we know more about their quarterbacks now than we did after last week. Here, we see how they stack up entering Week 4. 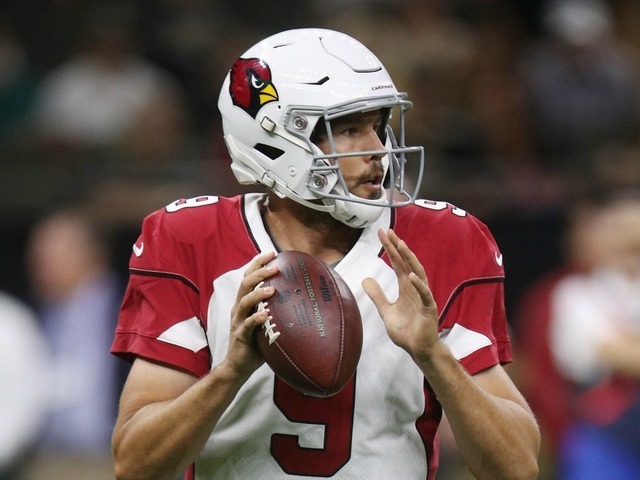 Analysis: Bradford’s numbers could have been worse (though two interceptions on 17 throws isn’t very good) but the Cardinals clearly just didn’t trust him. Hence the Josh Rosen takeover. Analysis: Taylor was absolutely awful before a concussion knocked him out of the game. The injury brought Baker Mayfield in – and now he’s here to stay – but the Browns may have made the switch even if Taylor didn’t get hurt. He was that bad. Analysis: Rosen barely played so we won’t kill him over the small sample size here. 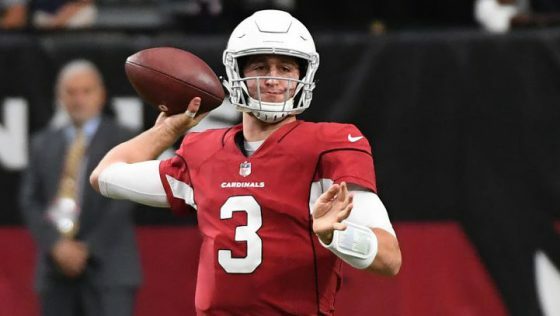 But Rosen obviously has plenty to prove before he starts to climb the NFL’s quarterback ladder. Analysis: The Titans’ injury issues at quarterback continued Sunday as Gabbert got knocked out early. It’s a minor miracle this team is 2-1 with both of its QBs banged up. Analysis: Once again, Trubisky was … fine. Honestly, it’s tough to find new things to say about this guy. He’s a machine that consistently cranks out mediocre stat lines. Could be better, could be worse. Analysis: Mariota couldn’t even properly grip the football, but he hung in there. The offence was lacking with him at the helm, but he still battled to a 9-6 win over the Jaguars, which is just plain nuts. Analysis: Oh, don’t forget about Allen’s 10 runs for 39 yards and two TDs, either. 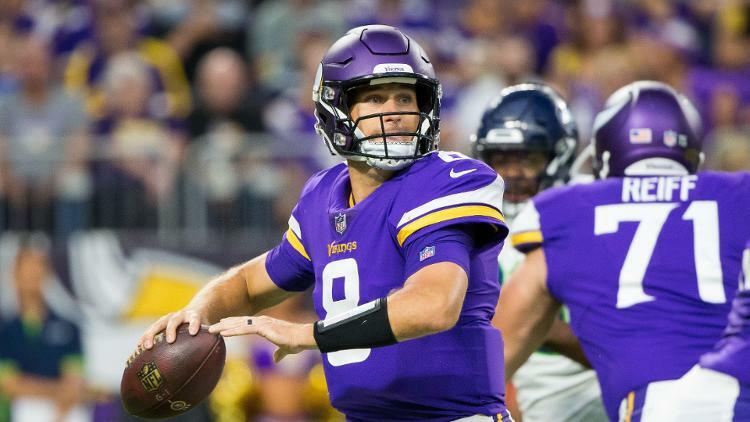 Just a 27-6 win over the Vikings, as we all expected. The Bills have begun to turn things around since Allen took over and that doesn’t seem like a coincidence. 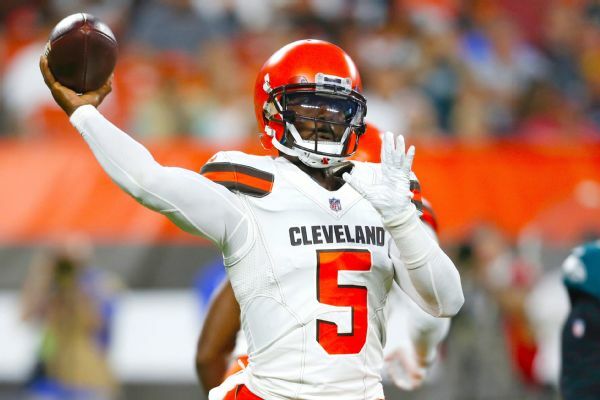 Analysis: Sure, his two interceptions came when he had to start forcing some throws, but he was still bad just about all night long and was severely outplayed by Baker Mayfield, the man the Browns chose instead of him at No. 1 overall. Analysis: Keenum’s late-game magic from the first two weeks finally fell apart. 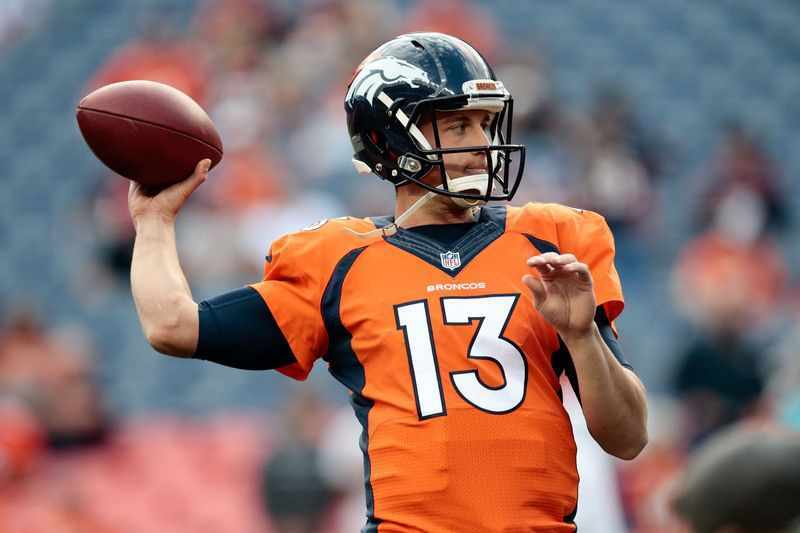 Instead, his utter mediocrity caught up to the Broncos in a 13-point loss to the Ravens. Keenum just hasn’t come close to looking like his 2017 self yet this season. Analysis: Winston’s suspension has come to a close. Now the question is whether he’ll actually resume his starting job. Ryan Fitzpatrick has given the Bucs a tough choice. Analysis: The Texans fell to 0-3, but that really wasn’t on Watson. He added five carries for 36 yards and was explosive in the passing game even though he wasn’t particularly efficient. Analysis: Now there’s the Bortles we all know. After a stellar performance against the Patriots last week, he slipped right back into his usual ways and was fairly unproductive. Turns out six points usually isn’t enough to win a football game. Analysis: Prescott hasn’t thrown for 200 yards yet this season. And he didn’t do it in the final two games of last season, either. So that’s five straight games without 200 yards. Not exactly stellar for a guy who’s supposed to be the franchise quarterback for one of the NFL’s biggest teams. Analysis: Welcome to the show, kid. Mayfield’s first act was snapping the Browns’ 19-game winless streak and out-duelling Sam Darnold, the guy the Browns passed over to take him. 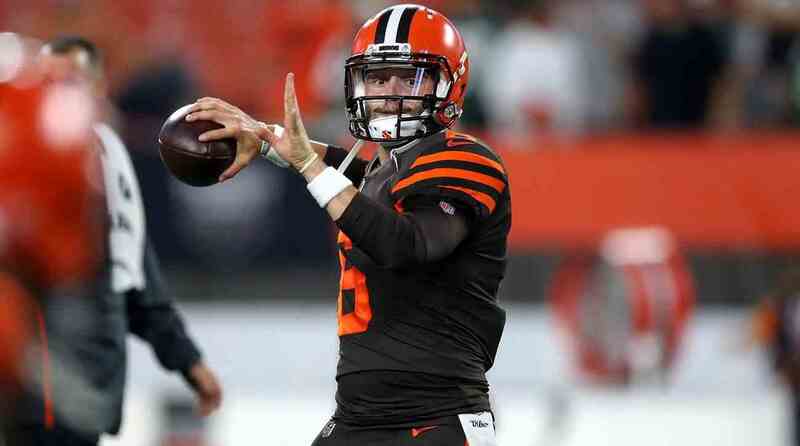 Mayfield electrified the Cleveland crowd and was clearly the reason that Thursday night game turned around. The Jets just had no answer for him. Analysis: Forget the stats and the performance – the big takeaway is obviously that Garoppolo is done for the year with a torn ACL. Come this time next week, C.J. Beathard will be on this list instead. 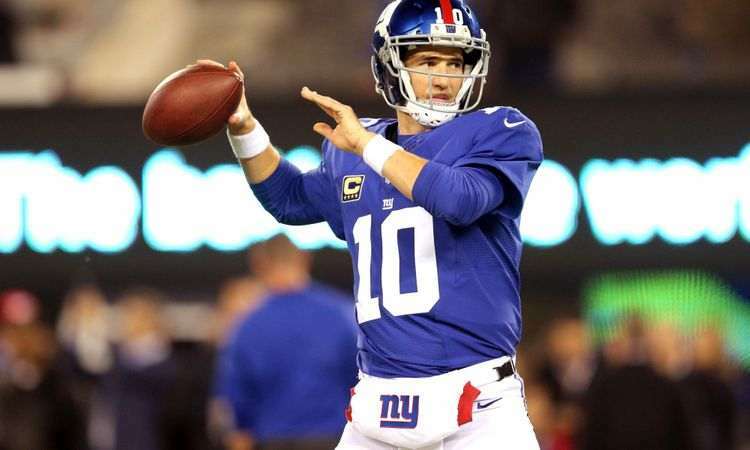 Analysis: Maybe Manning isn’t done, after all. He turned back the clock in this one and looked very sharp behind an offensive line that finally looked average. Always pretty good when you can count the incompletions on one hand. Analysis: That line looks pretty darn good right up until the last part. Four interceptions is rough – it’s tough to win like that. And the Bengals didn’t. 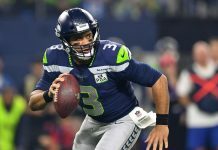 Analysis: The Seahawks finally got in the win column even though Wilson wasn’t exactly dominant. He did a good job protecting the ball and fired a couple TDs, but the completion percentage is nothing to write home about. Analysis: Wait a second. Are the Dolphins … good? They’re 3-0 and Tannehill’s return from an ACL injury is cruising along. This was his best performance of the three as the Dolphins pushed past the Raiders, 28-20. Analysis: Smith wasn’t used that much in this one; the Redskins found other ways to upset the Packers. But he did a fairly good job when called upon and ultimately got the win. Analysis: Carr threw a pick in the end zone that cost the Raiders a shot to take the lead in the fourth quarter. The throw was dubbed “too aggressive” by coach Jon Gruden, who also said that, at times, Carr “is trying too hard.” That can’t be fun for Carr to hear. Analysis: Not listed in that stat line: Cousins fumbled three times. The Vikings lost two of them. Yes, the offensive line is partially to blame, but three turnovers from the quarterback is a killer. Analysis: After an absolutely awful start to the season against the Jets, Stafford has worked his way back to normal. Beating the Patriots to grab their first win is a nice day’s work for the Lions, too. Analysis: Luck threw for 80 yards over the first three quarters. Is that bad? It certainly seems bad. He’s been inconsistent at best through the first three weeks of his return from a shoulder injury. 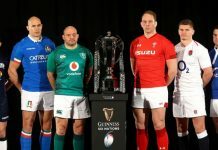 Analysis: The man who always seems to ignite an impassioned debate about “eliteness” didn’t quite live up to that level on Sunday, but he was certainly good. Good enough to comfortably hand the Broncos their first loss, too. Analysis: The Fitzmagic finally fizzled a bit with those three interceptions and a three-point loss to the Steelers. But given his total performance over the past three weeks, there remains a very real chance that Fitzpatrick is still the starter in Week 4, even with Winston back from suspension. 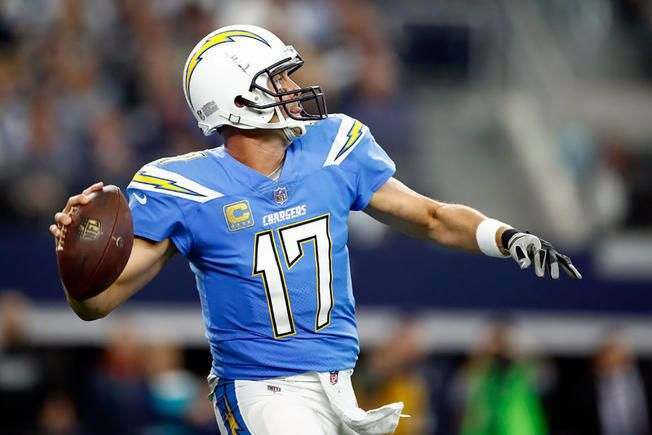 Analysis: Out-dueling Philip Rivers is no small task, but that’s exactly what Goff did this week. 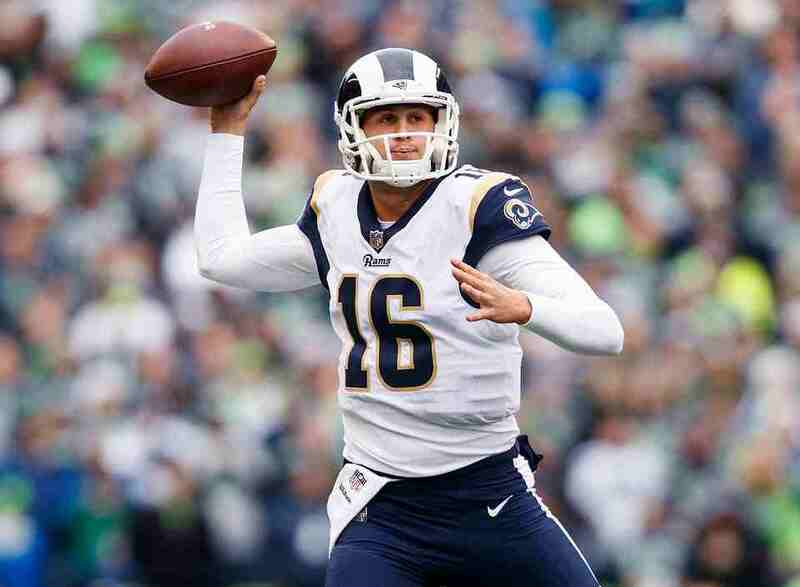 The Rams continue rolling along and Goff just keeps racking up numbers thanks to the crazy array of talent around him. Analysis: Newton remains a dangerous dual-threat and proved it again Sunday. The passing stats may not look all that impressive, but Newton also ran 10 times for 36 yards and two TDs. Four total TDs is obviously an effective game. Analysis: Again? Seriously? The fact that this was Mahomes’ least productive game of the season is frankly absurd. He’s thrown 13 TDs and zero interceptions to this point. He has to make a mistake eventually, right? For now though, the Chiefs just keep enjoying the ride. Analysis: It wasn’t the dream return that some may have envisioned, but it was still a very solid start for Wentz coming off of ACL surgery. He still showed some nice mobility and all the usual tools that make him the dangerous quarterback he is still appeared to be there. Now it’s just about shaking a little rust and getting comfortable playing again. Analysis: Is Brady finished? Has Father Time finally caught up with him? No. Stop it. Don’t be absurd. One bad game isn’t the end of the world, but Brady obviously has to be better if the Patriots are going to be a Super Bowl contender for the umpteenth season in a row. Analysis: Rivers was adequate in Week 3, but that wasn’t good enough to beat the star-studded Rams, led by Goff. Still, he pieced together a decent game, protected the ball and clearly remains among the NFL’s elite. 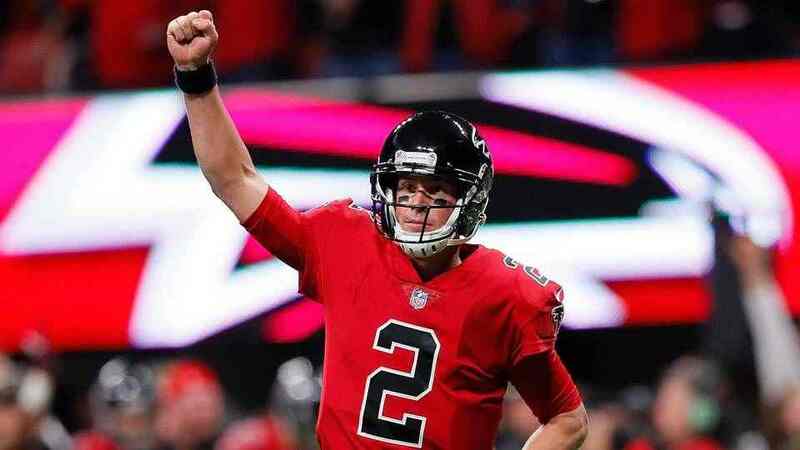 Analysis: It’s impossible to blame Ryan for the Falcons’ overtime loss to the Saints; he did just about everything he possibly could. He was accurate, explosive – his 10.7 yards per attempt average was tremendous – and lethal when he had a chance to finish a drive. 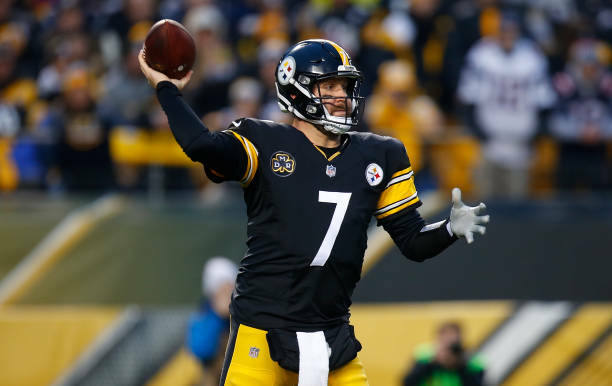 Analysis: This was by far Roethlisberger’s most accurate game of the season and it paid dividends, as the rest of the numbers followed. That stat line is very good, as evidenced by the 120.7 passer rating. Getting the Steelers their first win is even better. Analysis: Rodgers clearly is playing well below full strength due to that knee injury – the discomfort is clearly written on his face and comes out in a limp from time to time, too. So, sure, he’s not quite up to his usual standards. But boy, the guy is battling and giving his team a legitimate chance every week anyway. Analysis: Brees normally isn’t much of a runner, but he scored with his feet twice this week too. 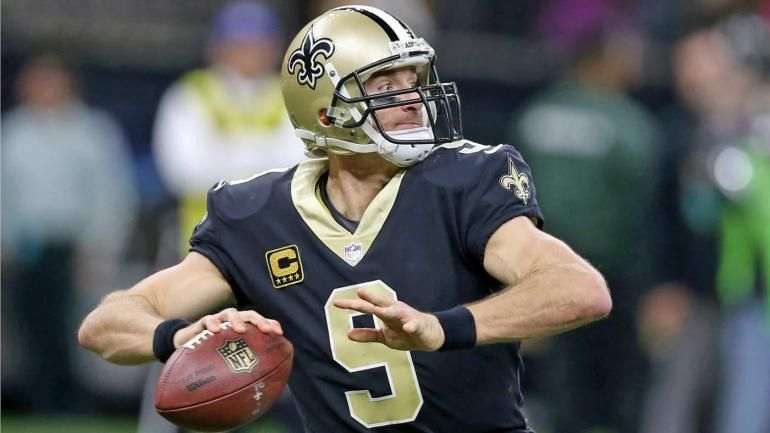 His number was called an awful lot against the Falcons and he took advantage of the opportunity by leading the Saints to a clutch overtime win. Previous articleThe Ryder Cup is back! Here’s what you need to know!